I can nearly guarantee you that Paul McCartney wrote every single one of his Beatles compositions without any knowledge of the Circle of Fifths, much less the not-nearly-as-talked-about Circle of Fourths. Yet somehow, he found a way to make use of the pattern in at least two of his well-known Beatles songs. 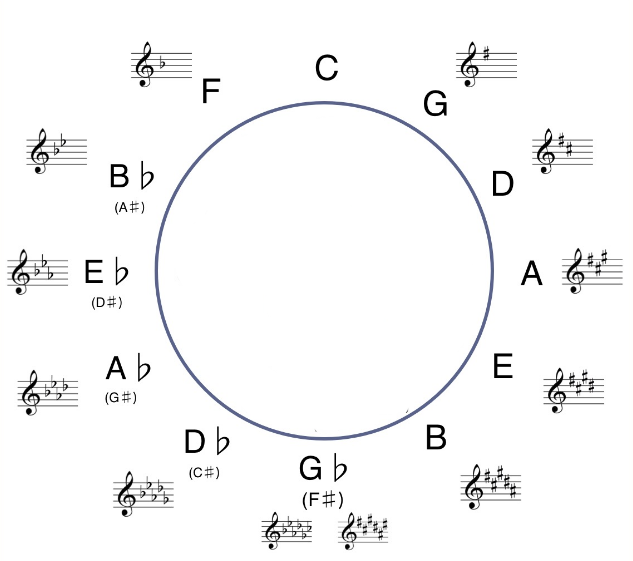 The Circle of Fifths is, for musicians who love compositional theory, sort of like the Rosetta Stone and the Fibonacci Sequence all mixed up and blended together in the Holy Grail to make the ultimate Nerd Smoothie. Just look at it! Behold the sequential beauty! Start on middle C, and swear to the gods that you will use no sharps or flats. That's the key of C. Now move up five tones -- C, D, E, F, G -- to find G as your new home, and introduce just one sharp. That's the key of G major. Climb five more tones to D, add a second sharp, and we have D major! It's magic! It's ... ok, it's maybe not as exciting as I made it out to be. But look at the graphic again, and notice that if you move counter-clockwise you get a Circle of Fourths, a movement from one key center to another that is separated by four tones. Instead of C to G, you get C to F. Continue climbing the Circle of Fourths and you'll get a movement like C to F to Bb to Eb. So how did Paul McCartney make use of these steps? 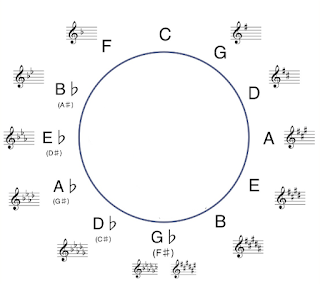 The opening track of the so-called "Abbey Road Medley" does, in fact, move through this Circle of Fourths. At least, it does if you're only following the tonal movement of the root note. The opening piano chords begin with an Am7 and progress to Dm7 -- D is a fourth above A, and so we have our first step on the Circle of Fourths, even if we are talking about moving from one minor chord to another minor chord. We have to cheat a little bit on that movement from Fmaj7 to the Bdim7 chord because, technically, it should be a B-flat, but here we are. By keeping the B-natural tone in the root, Paul is able to continue traveling the Circle of Fourths in such a way that he lands right back on the Am7 that started the progression. "Ok, fine," I hear you saying, "but you're mixing all sorts of majors, minor-sevenths, and diminished chords in there -- what about a strictly enforced trip through the Circle of Fourths, using all major chords?" Yep. Paul has done that too. Listening more closely to the backing track -- especially the background vocals -- reveals that the tape has been slightly sped up. Let's face it, you always thought those background vocals sounded a little chipmunk-ish. 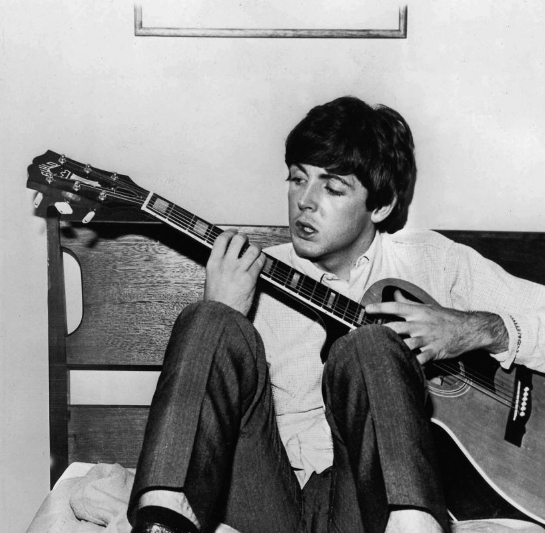 So, here's the verdict: the acoustic guitar is tuned down a full step, as Paul was known to do on multiple occasions (see "I Will", "Yesterday", "Heart of the Country", "Jenny Wren", etc. ), and it is played using chords in the key of E major -- which makes the song actually in D major. The tape is sped up, so the final recording sounds in E flat major. 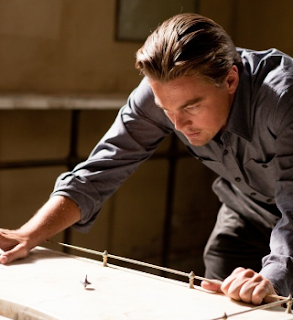 So Paul takes us there just long enough to appreciate the odd little journey, and leaves us to wonder just how much further the motif could be pushed. Trippy stuff, but perhaps that's why it ended up on Sgt. Pepper in the first place?